The Silicon Valley-based startup has unveiled a hardware-neutral NFC platform that, co-founder John Wiese has told NFC World, will allow developers to write software applications once and then deploy them on multiple types of NFC phone. Silicon Valley-based NFC software specialist Zenius Solutions has released a wide ranging suite of frameworks and applications for NFC transactions which, the firm believes, puts it firmly on course to be for NFC what Microsoft has been for the personal computer. The NFC Transactions Suite includes an ambitious package of NFC applications and other software that will allow payments, transportation, loyalty, access, and identity providers to quickly roll out NFC services on virtually all mobile phone platforms. The software suite features an NFC hardware abstraction layer, a re-brandable electronic wallet, open loop payments card applications and a bouquet of white-label closed-loop NFC applications that add new revenue streams to NFC offerings. To round out the offering the company has also released software that turns NFC-enabled smart phones into point-of-sale (POS) and transaction devices and a back-office server to support the white-label applications. Speaking to NFC World, Zenius co-founder John Wiese would not reveal which companies Zenius has been working with, but said commercial roll-outs will be ready by the end of the year. He added that the firm was profitable last year and expected revenue growth of 10 to 30 times this year in comparison. “The reality is that a lot of people haven’t thought about how to create a complete convergence for an electronic wallet. We had to be a software rather than a hardware company to make this convergence happen,” he said. “We wanted to solve some of the fragmentation issues of NFC and make it simple for people to use a tool set across the whole system to solve the interoperability issue. Open-loop apps built on the Zenius NFC architecture, providing credit card payment solutions for MasterCard, Visa, American Express and Discover. Zenius white-label apps, a group of NFC closed-loop applications that allow issuers to easily add essential NFC apps to their solution portfolios. All the white-label apps can be re-branded. 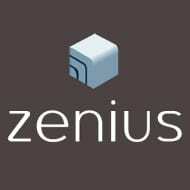 Zenius Mobile Wallet, a full-featured electronic wallet that can be re-branded or used as a reference implementation. Zenius Mobile Wallet features a graphical user interface that permits the user to select and manage secure open-loop payment, private payment, loyalty, tickets, coupons, transport, identity, access, and gift card applications from a single wallet. Zenius M-Transact, a product bringing merchant point-of-sale (POS) acceptance to popular smart phones including the Google Nexus S. M-Transact goes beyond a traditional payment acceptance device by supporting a complete set of open- and closed-loop applications, says Zenius. Like most of the company’s products, M-Transact can also be rebranded. TransactionServer, which is used with M-Transact, is a back office solution for processing high volumes of closed-loop transactions. It integrates with current authorization systems making it easy to transition to NFC, says Zenius. Wiese, who set up Zenius in 2008 with Ming-Li Liu after a 20-year career that included stints at Verifone and in the telecommunications industry, added that developers can mix and match elements of the suite to meet their needs. He said the firm would work with anyone who was interested in working with them. “We support everyone who will let us. Phones have different ways of talking to NFC components, so we abstract all that so the UI designer doesn’t have to worry about the NFC technology underneath,” he says.